For patients who have lost one or more teeth, replacing the missing teeth, as well as restoring healthy tooth and bone tissue, is crucial. Not only does tooth loss diminish the aesthetic appearance of the person’s smile, but may also affect the natural chewing and speaking function. But not all tooth replacement solutions are created equal. Only dental implants help prevent the development of periodontal disease, and particularly protect against further bone loss, which is actually the most dangerous outcome for patients after tooth loss. When bone loss in the lower jaw advances, it may cause a sagging and aged appearance in the lower face. This condition may be improved and/or prevented by using dental implants to restore proper tooth and jaw function. Dental implants have become the most sought-after solution for patients who are missing one or more teeth. 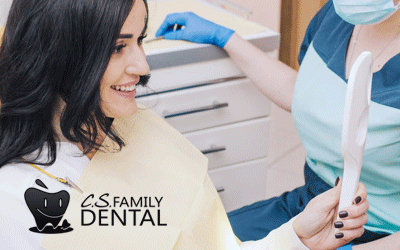 In the United States, where over 70 percent of adults report the loss of at least one tooth, dental implants have been shown to provide the best possible solution for restoring healthy oral function, while also providing aesthetic improvements for those patients. Bone tissue rebuilds itself by responding to constant stimulation, through activities such as chewing and speaking, which cause the upper and lower teeth to make contact throughout the course of the day. When a person’s teeth are all solidly in their proper places, the sac-like structure that surrounds and supports each tooth, referred to as the alveolar bone, is constantly stimulated and transmits pressure, via the periodontal ligament, to the underlying bone tissue, triggering constant regeneration of bone tissue. Once a tooth is lost, regular stimulation to the bone tissue decreases because the person will naturally alter the way they chew. This eventually causes a wasting away of the alveolar bone, often resulting in as much as a 25% decrease in its width during the first year after a tooth is lost. In the next few years, the alveolar bone may also shrink by an average reduction of 4 millimeters in height. This reduction bone density gradually begins to affect the jawbone, or basal bone structure that supports the entire structure of the lower face and jaw. This naturally causes sagging in the lower face as soft tissue begins to cave in, cheeks become sunken, and jowls may form as the lower face droops from the lack of internal structural support. As loss of bone density progresses, the gums also start to recede, making the teeth appear longer as parts of the roots become exposed. This condition may seriously impair not only the appearance, but also affect oral function. 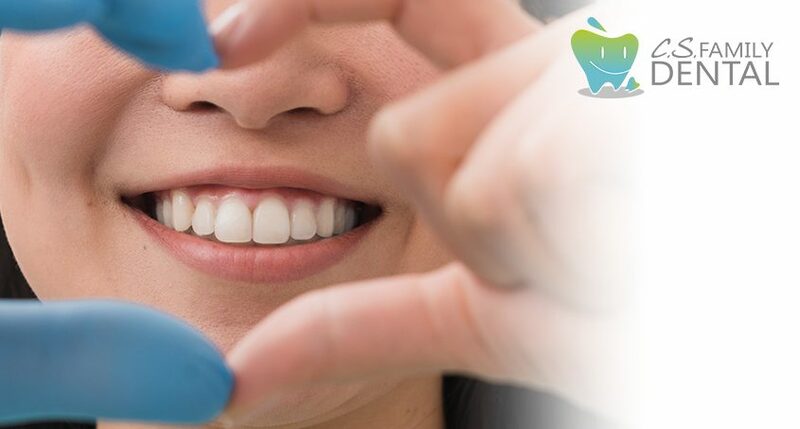 In recent years, implant dentistry has become one of the most advanced areas in modern dentistry, because dental implants have been proven to provide far more effective and longer lasting options for replacing missing teeth. While about 20% of fixed bridge solutions fail after 3 years, and about half of all FPDs will require replacement after 10 years, dental implants have a 99% success rate at the 10-year mark, and when properly cared for, dental implants may last for the duration of a patient’s lifetime. Dental implants are small screws made of solid titanium, a biocompatible metal that easily bonds and integrates with human bone tissue in a process known as osseointegration, which provides structural support for the alveolar bone as well as the whole basal bone structure. These titanium screws are attached directly to the bone tissue, and then fitted with a crown, in order to create a fully functional tooth that behaves like a natural tooth. If the crown should ever need to be replaced for any reason, the underlying implant will not be affected. Since dental implants are attached directly to the patient’s bone, they require no abutment teeth, which means that the adjacent teeth remain unharmed, reducing the risk of stress fractures, as well as the accumulation of harmful bacteria that may lead to tooth decay and periodontal disease. Dental implants may be used to replace a single tooth or multiple teeth, even if those teeth are not adjacent to one another. For patients who are missing an entire arch of teeth or both arches, dental implants provide a superior treatment over traditional removable dentures. Recent studies have shown that American adults aged 60 and over on the average are missing at least 9 teeth, and some 30 million have lost at least one full arch of teeth. As the population of senior citizens increases, that number is likely to increase to about 38 million adults as early as 2020. Removable full or partial dentures have been the treatment of choice for most of these patients, partially due to their less expensive price tag when compared to dental implants. But a decision as important as the care of one’s oral health should not be determined by price tag alone, and dental implants have proven their superior value over other tooth replacement options when one considers their value over the long-term. Additionally and more importantly, while removable dentures may help to improve the facial appearance and chewing function, they do not offer any protection against further bone loss. In fact, dentists often fail to warn their patients that removable dentures may actually accelerate reduction in bone density because the pressure on the teeth is born by the tooth surface and gum tissue, instead of stimulating the underlying bone tissue, which actually wastes the bone tissue, while also causing damage to the gums and oral membranes. As bone loss continues to accelerate, removable dentures continue to fit more loosely, which further advances loss of density in the jawbone. In fact, dental implants have proven to be as much as twenty times more effective at protecting against future bone loss than removable full or partial dentures, because dental implants are anchored to the bone like natural teeth, providing the required pressure on the jawbone, which strengthens and regenerates the bone tissue. Also, let’s face it: removable dentures are just not that comfortable. In fact, many patients who wear them report a reduction of oral function that may be as much as 16%, and most also have to avoid eating certain foods, due to the difficulty of chewing while wearing dentures. Removable dentures that fit improperly can also lead to buildup of harmful bacteria that further advances the deterioration of the gums and aleovar bone. In contrast, dental implants may restore nearly 100% of a patient’s oral function, meaning patients can return to eating a healthier and more varied diet that includes chewy foods that apply necessary pressure to the teeth and bones and help prevent further bone loss. The vast majority of dental implant wearers report a dramatic improvement in comfort and oral function over removable dentures. Other treatment options include combination treatments such as a dental implant bridge that uses implants instead of abutment teeth to secure a bridge, or anchoring a full or partial denture to dental implants in order to increase comfort and function as well as providing better protection against bone loss. 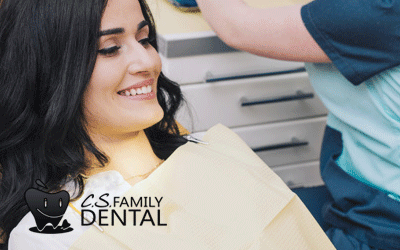 To learn more about dental implants and how they can improve your comfort and oral function, as well as providing aesthetic improvement, contact Dr. Sohn at CS Family Dental, serving the Colorado community in Denver and surrounding areas.